Scientists at Brigham and Women’s Hospital (BWH) have developed a scalable, next-generation platelet bioreactor to generate fully functional human platelets in vitro. The work is a major biomedical advancement that will help address blood transfusion needs worldwide. The study is published July 21, 2014 in Blood. “The ability to generate an alternative source of functional human platelets with virtually no disease transmission represents a paradigm shift in how we collect platelets that may allow us meet the growing need for blood transfusions,” said Jonathan Thon, PhD, Division of Hematology, BWH Department of Medicine, lead study author. According to the researchers, more than 2.17 million platelet units from donors are transfused yearly in the United States to treat patients undergoing chemotherapy, organ transplantation and surgery, as well as for those needing blood transfusions following a major trauma. However, increasing demand; a limited five-day shelf-life; and risk of contamination, rejection and infection have made blood platelet shortages common. Blood cells, such as platelets, are made in bone marrow. The bioreactor-a device that mimics a biological environment to carry out a reaction on an industrial scale-uses biologically inspired engineering to fully integrate the major components of bone marrow, modeling both its composition and blood flow characteristics. The microfluidic platelet bioreactor recapitulates features such as bone marrow stiffness, extracellular matrix composition, micro-channel size, and blood flow stability under high-resolution live-cell microscopy to make human platelets. 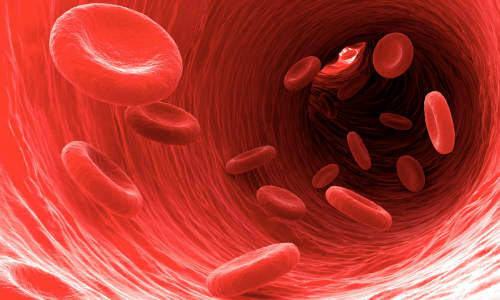 Application of shear forces of blood flow in the bioreactor triggered a dramatic increase in platelet initiation from 10 percent to 90 percent, leading to functional human platelets. “By being able to develop a device that successfully models bone marrow represents a crucial bridge connecting our understanding of the physiological triggers of platelet formation to support drug development and scale platelet production,” said senior study author Joseph Italiano, Jr., PhD, Division of Hematology, BWH Department of Medicine, and the Vascular Biology Program at Boston Children’s Hospital. In terms of next steps, the researchers would like to commence phase 0/I in human clinical trials in 2017. “The regulatory bar is appropriately set high for blood products, and it is important to us that we show platelet quality, function and safety over these next three years since we’ll likely be recipients of these platelets ourselves at some point,” said Thon. The above story is based on materials provided by Brigham and Women’s Hospital.